The lawyers at Jeffery & Calder have conducted cases involving all aspects of serious personal injury litigation including brain damage, spinal cord injuries, amputations, chronic pain and fibromylagia, fractures and soft tissue injuries. After being called to the Alberta Bar, Kimberly Sadler initially worked as a defence lawyer acting for the insurer in the area of personal injury law. During this time, she gained valuable insight into defence strategies. For the past six years, before joining Jeffery & Calder in June 2013, Ms. Sadler continued to practice in the area of personal injury, but exclusively for victims injured in motor vehicle accidents. 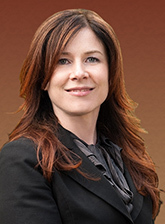 Ms. Sadler has successfully represented clients from many different backgrounds with varied injuries ranging from head and spinal cord trauma, orthopaedic, neuropsychological and soft tissue injuries, chronic pain and psychlogical conditions Ms. Sadler has had mediation, court and trial experience. She is a member of the both the Alberta and British Columbia Law Societies and the Trial Lawyers' Association of British Columbia and continues to act for clients in both Alberta and British Columbia. 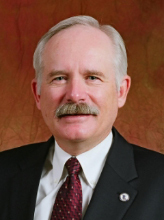 Dale Stewart has over 28 years experience, appearing in the Supreme and Appellate Courts of British Columbia as well as the Supreme Court of Canada. He has handled personal injury claims involving brain injury, paralysis, broken bones, soft tissue injury, chronic pain and emotional trauma arising out of car accidents, sporting accidents (equestrian, hockey, motocross and skiing), accidents caused by unsafe premises, medical mistakes, faulty products and sexual assaults. In addition, Dale has experience with economic loss claims arising out of bad investment advice, the denial of insurance coverage and termination of employment. 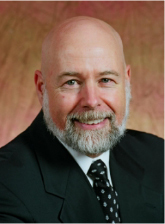 Dale has written and lectured for the Continuing Education Society of British Columbia. He has spoken to various industry groups on ways to reduce the risk of injury to its patrons and is a member of the Trial Lawyers Association of British Columbia. 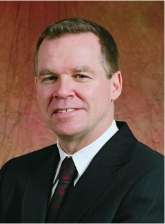 Throughout his long and successful law career, Greg Calder practiced exclusively in the area of civil litigation, initially acting for the insurer until 1986. For the next 31 years, until is retirement in June 2017, he acted solely for the injured, representing people from all walks of life from all over British Columbia and other parts of the world. During that time, he handled claims involving brain injury, death, amputations, paralysis, fractures and soft tissue injuries arising from a wide variety of circumstances such as swimming pool accidents, car crashes, falling objects, assaults, professional negligence, skiing accidents, slips and falls and injuries that have occurred as a result of faulty products. Mr. Calder also had extensive experience in mediations and trials (jury and judge alone) throughout the Province. On his retirement, Mr. Calder left a highly successful practice based on referrals from medical professionals, lawyers and existing and past clients in the experienced and capable hands of Kimberly Sadler and Dale Stewart. During his long career as a trial lawyer, Larry Kancs acted in both criminal and civil litigation matters. From 1987 he focused on representing clients who suffered injuries and losses in car accidents, assaults, slips and falls, faulty products and fires. He represented clients from many ethnic backgrounds with a wide variety of claims including brain injury, death, fractures, chronic pain, fibromyalgia, depression and soft tissue injuries of all varieties. He lectured at seminars for the Trial Lawyers Association of British Columbia and served on the Executive for that association from 1997, until his retirement in 2018. Jeffery & Calder also employs the services of four paralegals resulting in a more effective, efficient and economical use of legal resources and a support staff of full-time and part-time employees, to provide the highest levels of quality and service. The firm has extensive experience with trials (both jury and judge alone) and out-of-court settlement negotiations, including mediations and appeals, and has, over the years developed a reputation as being tough but fair.